The ultimate in felt performance without spending a fortune. 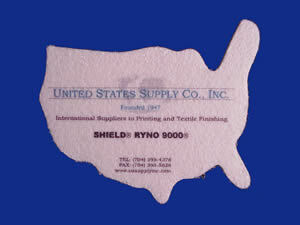 This felt was specifically engineered to perform in a ll high temperature and chemical environments. From Textile Finishing to Transfer Printing applications, this felt will outlast any other. It has good physical properties (hysteresis, elongation, elastic recovery, tensile strength, etc.). We highly recommend this felt for longevity, especially in harsh environments, and to impart a soft hand to fabric.